As the kids move out of the house and work obligations lessen later in life, many adventurous souls find themselves yearning to trade in the family trips next to the pool to instead hit the road, striking out to destinations previously unimagined. Free to roam the globe, this wave of baby boomer explorers is pushing into new frontiers well beyond the typical bus tours to Europe, therefore creating a whole new category of over 50 adventure and luxury travel. Here at Knowmad we’ve recognized that, and for a variety of reasons, Patagonia is a top travel destination for baby boomers. Torres del Paine, arguably the crown jewel of Patagonia, is now home to a handful of the world’s best adventure lodges. Whether it’s Awasi’s fully private guides, Explora’s mind-blowing views from the room, or Tierra Patagonia’s inspired architecture and service that grabs you, the range of innovative excursions offered at the best lodges in Torres del Paine National Park allows you total flexibility. Whether you’re interested in relaxed wildlife safaris, tracking pumas and herds of wild guanacos, or hiking to the famed based of the towers, you can experience the park in the way that’s best for you. These luxurious Patagonia lodges feature exhaustive menus of excursions with different focuses and activities as well as level of rigor, so from day to day you can choose your own adventure in the park, customizing your Patagonia exploration as you go along. It also doesn’t hurt to return to impeccably executed meals each night, paired with delicious local wines and a cozy bed with views of moonlit peaks and the Southern Cross. There is no reason the stunning Patagonia landscapes and wildlife can’t be enjoyed by people of any age or fitness level. Privacy – This Isn’t Your Mom’s Bus Tour! Gone are the days when traveling abroad meant being shuffled from site to site staring from behind the window of a bus with thirty others, inevitably getting sat next to the couple more interested in squabbling then being immersed in the cultures and experiences around them. Traveling alongside Knowmad or other regional specialists has opened up the ability to have safe, stress free adventures with private guides and services so your trip can be perfectly tailored to your interests, style, and activity level. No need to explore this remote area of the globe with a backpack and tent in tow. Patagonia luxury travel is as good as it gets, with some of the world’s best luxury adventure lodges located in Torres del Paine, the region’s treasured national park, as well as lesser-known estancias in Argentina that are at the same time authentic and extremely comfortable. Patagonia now offers world-class luxury trips and tours to go along with its unrivaled landscapes and wilderness! The majesty and beauty of Patagonian landscapes are incomparable. This majesty not only offers an adventure playground, but it has the ability to restore, recharge, and revitalize the sense of adventure that lives within us all. Visitors also often draw inspiration from the beauty of the region’s gaucho (Patagonian cowboy) and homesteader traditions that approach life without pretense or judgement, but rather a keen appreciation for simplicity and universal truths. Knowmad offers door-to-door trip planning: We help you navigate itinerary options and seasonal differences, coordinating Patagonia travel for a holistic, seamless, and safe experience, all at a guaranteed best value. 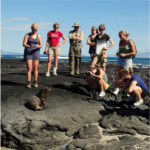 More seasoned travelers know that knowledgeable, charismatic, and fun guides can make all the difference. Whether adventuring on a privately guided Knowmad exclusive excursion, or at an inclusive luxury adventure lodge, Patagonia is home to incredible wilderness guides who really make your trip as special as can be. For comprehensive reviews and comparisons of luxury lodges in Torres del Paine, Patagonia, refer to our “Best Patagonia Luxury Lodges” article. Some of our favorites are Tierra Patagonia, Awasi Patagonia, Explora Salto Chico, and Patagonia Camp. Estancia Cristina Perhaps the most remote luxury Patagonia lodge, Estancia Cristina is arrived to only by boat, and is near the massive Upsala glacier. It retains its completely wild side, but with impeccable service and amazing food. Aguas Arriba With just five rooms and the only way to arrive being by foot or boat, this gem of a lodge is lovingly operated by owners Ivor and Pato, and offers access to undiscovered wilderness and remote glaciers, as well as unmatched solitude. You’ll feel like you are a member of an amazing Argentine family and fall asleep to the rumblings of glaciers while staying at this remote Patagonia lodge. As older travelers often have 2-3 weeks or more, consider combining Argentina and Chile, starting in Buenos Aires and ending in Santiago. 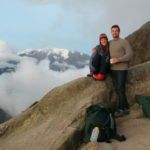 This way you get to see both of the vastly different windward and leeward sides of the Andes, which means not only the expansive pampas and iconic jagged peaks, but also the most remarkable glaciers. You also avoid repeating any long transfers, get to then see two of South America’s most fascinating cities, and can compare and contrast the different cultures of Patagonia in addition to varying landscapes. 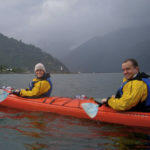 On the note of having more time, don’t forget that Northern Patagonia (also known in Chile predominantly as the Lakes District) is quite different from the Southern portions, and features the beautiful towns of Bariloche and Puerto Varas, as well as the cultural and wildlife gem of Chiloé. These Swiss-German areas of the region also offer interesting cultural insights on the European migrations and effects in the countries. And don’t overlook Punta Arenas! Although there are flights on Tuesdays and Saturdays in/out of Puerto Natales during high season (Nov 15 – Mar 15), which cuts down the drive time in/out of Torres del Paine on the Chilean side, they often don’t fit well with dates and are indirect flights anyways with you sitting on the tarmac in Punta Arenas. Punta Arenas as a city isn’t necessarily any sort of highlight, but it is on the famed Strait of Magellan, and offers the opportunity to boat to remote Isla Magdalena where between November and March you can walk amongst droves of penguins. November and December is best as the penguins are most abundant and you may see chicks hatching or recently hatched. In addition there is the opportunity of whale watching excursions during December – March, and even a really, really full day to a remote King penguin colony on Tierra del Fuego. Seeing some of Patagonia’s marine wildlife, getting the most value out of your Torres del Paine lodge stay by being able to arrive early or depart late, and experiencing the Strait of Magellan are all benefits of overnighting in Punta Arenas. 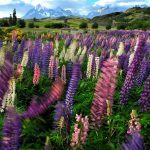 Traveling to Patagonia is a bucket list item for so many adventurers, and it is certainly an incredible and accessible destination for baby boomers who wish to behold the surreal beauty of this magnificent South American region. To learn more about everything Patagonia has to offer, or to start planning your Patagonian adventure, give a Knowmad Trip Specialist a call today at 612-315-2894 ext. 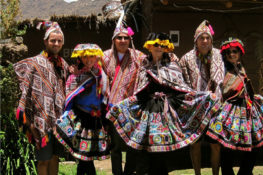 1, or email us at travel@knowmadadventures.com to begin planning your custom Patagonia itinerary. 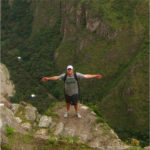 Jordan is a Co-Founder of Knowmad Adventures, a world-leader in high-quality custom trips and itineraries in Patagonia. 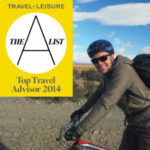 He has won Travel & Leisure’s prestigious A-List Top Travel Specialist for Patagonia, Chile, Argentina and Peru five consecutive years. 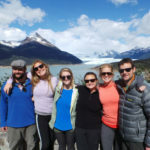 In addition to helping you put together a flawless custom Chile and Argentina trip, Knowmad Adventures guarantees best pricing at any of the Patagonia lodges. Give him a call at 877-616-TRIP or email Jordan@KnowmadAdventures.com.